Watercolor, ink, gel pen, sharpies, gouache on paper and attacked to the inside of a white wooden box. 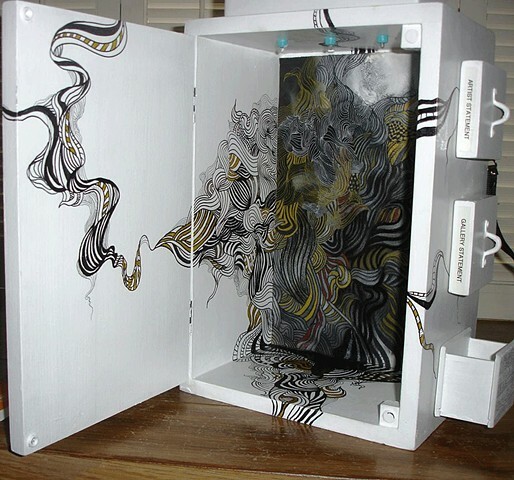 Sharpie drawings directly onto inside and outside walls of box. This was part of the Backpack Gallery Exhibit at 30th Street Station in Philadelphia, 2013.